Through the years there have been several different versions of doors placed in houses that can range between individual panel doors that kick out to one piece roller doors, nonetheless the most popular model will be the panel garage doors. These kinds of doors are actually standard panels hinged to one another that have been mounted on tracks using a spring system to aid with opening the door. They can be manually operated but these days the majority of them employ a door opener which has a remote opening devise allowing you to open and close the door from the inside of the car. How Fast Can A Burglar Break Into Your Garage? A burglar can break into a garage in a matter of seconds. The fact of the matter is that if there are rumors that you have extremely expensive memorabilia in your garage, then it definitely makes it more likely that your garage can be broken into. Because of the fact that an experienced burglar can get into a garage in a matter of seconds If you are having trouble finding a way to pay for the right security system, so burglars don’t break into your home at rapid speed, you may want to seek what is covered with a homeowners insurance policy. A good locksmith can also have strong relationships within the insurance industry. A burglar can use a number of tools to break into your garage. A number of burglars may be so desperate to break into your garage that the use of something large like a hatchet is not out of the realm of possibility. A basic padlock may not sound like it will work, but some sort of protection and safety measure is better than no safety measure at all. You do not always have the best plan to protect yourself from a burglar, it can be helpful Alato talk to an experienced locksmith about your options that you can use in order to protect the most valuable assets in your home. Burglars do not like it when you properly fasten the emergency lever in your garage door, this makes sure that you are able to set things up in a proper and detailed fashion. Burglars are going to lock for any hole within a security system. Monitored alarm systems can make a big difference when you know that there has been a potential crime wave in your neighborhood. Alarm systems are something that can be installed by an experienced locksmith. A locksmith that loves technology is definitely going to help you find a way to take care of your garage, making sure that you are able to protect some of your most valuable assets like a car. A number of burglars are going to use conventional methods in order to break into a garage door. A well trained locksmith is going to know how to deal with these conventional methods that simple minded burglars are going to use to get things done. One of the tools that may be used would be wire hangers. The wire hangers are going to be effective against a garage that is properly constructed and tough. A burglar may try to disable some of the stoppers that are tied to the garage door. 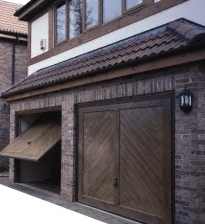 The best garage doors have to be able to handle different heavy items potentially coming their way. A burglar that understands different information technology options can certainly find a number of different ways to break into a garage door. You do not want to run into a burglar that knows how to break codes or correctly guess different passwords. The passwords are something that can be fairly simple, but the truth is that you want to make the different passwords fairly complex. Locksmiths are capable of advising people to use certain types of steel to reinforce a garage door. The steel can make a big difference in the long run as you want to make sure that people do not get into your garage in an attempt to steal your tools. The tools may be associated with a business, and you want to be able to make sure that you have the tools that you need to run a construction business. A good locksmith has to be good at different business to business sales that are out there. You still want to protect different windows that would allow people to break into your garage. You can put barriers up to make sure your windows are properly protected, and a locksmith can set up the infrastructure in order to get this done. You need to make sure that there aren’t a lot of bricks laying around that people can use in order to break that window, getting into a garage. It may sound silly, but a good locksmith can also have a good lead on a window and glass person that can fix the issue for you. Key operated security locks are the most popular among all types of security devices used to control access through doors. Despite the fact that home owners have installed other security enhancing systems such as CCTVs, the key-operated lock is still used. The quality of the lock you choose determines the expected level of security. Investing adequately in high security locks is beneficial as it gives you peace of mind even when you are away from your home. 1. Keys can easily be duplicated by any locksmith. Many key shops duplicate keys despite the “Do Not Duplicate” warning on most keys. Duplication of keys has now even gone online. There are online services that produce duplicate keys. You just have to send a photo of the original key and there you are with another duplicate key. Home owners who use standard locks cannot be sure of how many duplicate keys have been made, or who has them. 2. Standard locks are easy to “pick” open. Burglars find it easy to open standard lock cylinders using devices such as lock picks and “pick guns”. More often than not, standard locks that have been master-keyed are easier to pick. 3. These locks can be “bumped” open using a “bump key” (can be bought online or made from existing keys). Unfortunately, there are even how-to videos in the internet that show how to “bump” a lock open. That is why standard manual locks can not be relied upon today. 4. 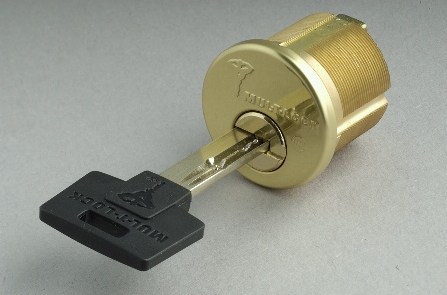 Standard locks can also be “drilled” open. This has been made easier by the introduction of cordless drills. Why consider a high security lock? 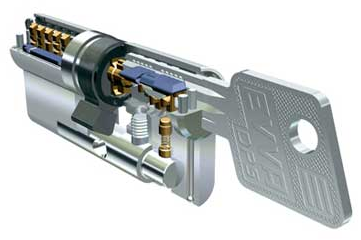 – Patented keys: High security locks use patented or otherwise restricted keys. The distribution of key blanks is limited. To duplicate the key, special equipment is required, which is only available through highly qualified locksmiths or sometimes only from the manufacturer. Authorization from the home owner or his/her designated representatives is also needed for the duplication of the original key. It therefore becomes very hard for an unauthorized person to have a duplicate key. High security locks also make use of signature verification to ensure that no one obtains a duplicate key without the owner’s consent. 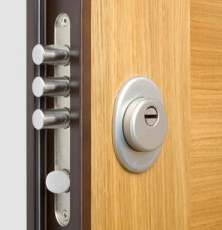 – Strong physical features: High security locks are virtually “pick-proof“. It is extremely difficult or simply impossible to “pick” a high security lock open. Even with the expertise of champion locksmiths and enough time, picking this high quality lock is a hard task. High security locks are the best match against even the most seasoned of criminals. Armor-plated strike plates and interlocking deadbolts are the other high security features that characterize these locks. These features help to keep your home secure. Most intruders and burglars know that gaining entry through a door with cheap deadbolts is as simple as just kicking it. This makes such doors an easy target. High security locks are also drill resistant. 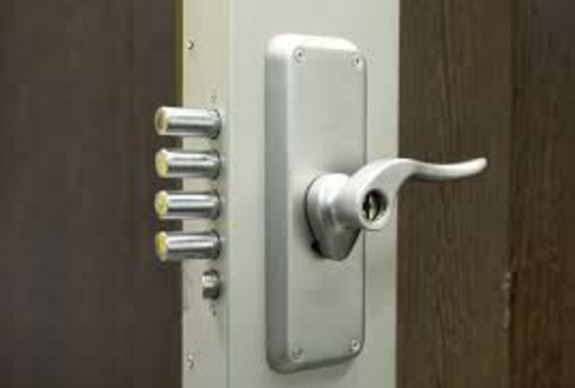 Protective measures put in place in the design of these type of locks include the use of a hard metal case and placement of special metal pins and disks in the path where the drill is supposed to penetrate. Drilling a high security lock would be a very difficult and time-consuming task. – Long lasting quality: High security locks contain high quality metal components. The mostly used components are made of steel and brass. Such components are very hard to break down and this ensures that the locks last for long. These locks therefore provide great value for their price. Is It Better To Rekey Or Change A Lock? When a person loses the keys to their house or they move in to a new residence and they are concerned about their security, it becomes necessary for them to change the locks. (It is no longer safe nowadays to move in a new residence and still use the previous tenant’s locks. This because it is very easy nowadays to have keys copied and such a person may rob you when you are not around.) In such cases, such a person generally has two options; they can either decide to change the entire lock, or they can choose to rekey. 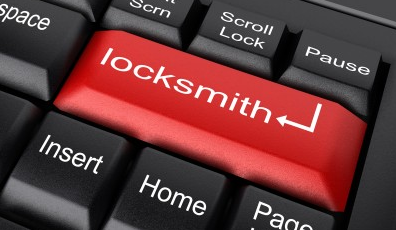 Our good friends at losangeleslocksmithpros.com provide some useful information about the subject. This is actually one of the greatest reasons that most people will go for rekeying rather than changing locks. Rekeying locks will to a great extent save you a lot of money while you still get to enjoy the same services as with changing the locks. This is especially effective where there are many locks involved. The most important thing to ensure is that you get the best locksmith for the job. Rekeying cannot be compared to changing locks when it comes to the duration. Rekeying is quite a fast and straightforward way of having the keys replaced. All that is needed is to easily change the cylinders and cut new keys. This is opposed to changing a whole lock where you need to go to the stores and start selecting the locks that you like best. This is especially important if there are many locks in the house. There is also the advantage of improved security since with the new cut keys; one can be able to control the number of keys that are given out. Doing this ensures that the ones to whom the keys are given are able to act responsibly in keeping the keys safe. This ensures the home owners know those people who actually have access to their house thus ensuring security. This is for those who do not like carrying so many keys. One can have all the locks in the house rekeyed to be opened by a single key. This is convenient as you will only need to carry that one key for all the doors. It is actually quite convenient to carry only one key for the whole house. However, in such a case, you will also need to be very careful when carrying the key as losing it means that whoever finds it will have full access to the house or business premises. The only disadvantage with rekeying is that there is a risk that the locksmith might rip you off. If they cut the keys for you, dishonest locksmith might retain a key and wait until you are not home to empty your house. In such a case, it is important to ensure that you can trust the locksmith whom you hire to work for you. Doing so will ensure that you are always safe. However, even with great caution, mistakes do happen and there is no way that one can fully eliminate risk. In such cases, one can combine both methods, that is rekeying and changing locks. For instance, you can have the interior locks rekeyed while the outer door locks are changed. This will ensure that anyone who would want to gain entry into the house is barred by the first door. This will ensure that your home is fully secure. Whichever method that one chooses should be one that they are most comfortable with in all aspects be it security, cost, convenience and time. This is because both methods are geared at providing you optimum security at the most effective cost. There are many reasons why you may need to change your locks. You may have lost your keys, and to be sure of your security, you may choose to change the locks instead of replacing the old keys. You may have moved to a new apartment and you are afraid that all the previous tenants have key duplicates to your home. Just to be sure that the only person who possesses the keys to the house, you may need to change the locks so that you get a new set keys. If any of these is your case, you need to hire a professional locksmith to change door locks for the following seven reasons (brought to you by our friends down at lasvegaslocksmithpros.com). You may think of changing the locks yourself of even getting a friend to fix it for you. But have you considered the cost you may incur to get the right tools to change the locks all by yourself? Is it worth investing in these tools when you are only going to use them once? This is therefore why you need to consider a professional locksmith as they have the right tools to have the work done. They have the most recent tools for handling the latest sophisticated modern locking structures. They also have the resourcefulness of dealing with locks and doors of varying materials that require varied installation methods. Considering this, you will find that getting a professional locksmith to change your locks is going to save both your time and money. Having good working locks means safety of your property. Leaving the house or falling asleep doesn’t therefore feel terrifying. If you change locks yourself, your doors may fail to open and close as they should, or they may not close completely. This already a disaster! On the other hand, when you hire a professional locksmith, you’re sure he is going to do it like an expert. This gives you confidence and a feeling that you are secured. 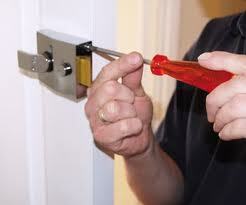 The fact that many locksmith give a guarantee for their work also assures you of security. For a locksmith to be this sure, he must have done his best, an assurance that your security is on point. In any case a problem arises later, you can turn back to the locksmith and have the problem rectified. This means that whatever you are paying for, is totally worth it. A professional locksmith has the right judgment, knowledge and qualifications to deal with any locking structure. There are however, other technicians who barely have the knowledge and qualifications to do so. With the growth of electronic security system, not many people are actually qualified to handle this. They learn overnight to fix this, even without the background information of the systems, hence they don’t even know which product is appropriate for which kind of security application and structure. You can be sure that with professional locksmiths, they have enough training on security and locking structures and how to deal with each kind of application. With the proper tools, qualifications and a hand on experience on their work, professional locksmiths can finish their work as fast as possible. They do not have to second guess on what to do, they don’t have to look up for information somewhere to change the locks, nor do they have to operate on try and error method. They already know what to do, and hence when you call them to change locks for you, they will be there shortly to do exactly what you want in no time. A handy person may be tempted to try changing the locks themselves, but one thing is for sure- you my regret later. Remember, you are not expert in it and so you may make so many blunders that at the end of it all, you damage the door. This means that you have to actually call a professional locksmith to correct the problem. By now, you will have spent a lot of time in changing a simple lock. If only you hired one from the word go, you wouldn’t have to call them when the mistake occurs. They would have actually changed the lock in a matter minutes. You may think that changing the locks yourself is cheaper because you won’t pay for the service. Remember, you not only need the locks, but also the right tools to change them. This means that for you to fix the locks perfectly, you will have to invest in specialized tools which may cost more than you think. Getting a professional locksmith is therefore a better option as they will have the right supplies, and you will only be required to pay for the services provided. This is definitely cheaper than purchasing the supplies and fixing it yourself. Getting a professional locksmith not only leaves you with a sense of trust, but also an assurance that the work is completed perfectly. They are able to work around your lock with a lot of ease. They complete their work quickly without causing damage to other door parts and provide you with great finish for the money paid for. Hiring a professional locksmith has both short and long-term advantages over doing it yourself. Your task as the home owner is to find a certified locksmith around your area to change your door locks perfectly. You can get referrals from friends, look up in online directories or websites to get yourself a certified professional locksmith. Getting locked out of your car or losing your car keys absolutely bites, so what do you do when you have to get in your car and back on the road fast? My experience has taught me that locksmiths are better to call when locked out or for new car keys than local car dealerships. Here is why I believe this to be true. – We would like to give a quick thanks to the guys over at Denver Locksmith Pros for helping us with writing this article for you. They gave us some great stuff to use. Thanks guys. While car dealerships have the ability to get you back in your car, they have one big disadvantage and that is they are not open 24 hours a day. So, if by chance, you were to get locked out of your vehicle before they are open you would have multiple problems to worry about instead of one. 1st Problem: You are locked out of your vehicle. 2nd Problem: The car dealership is not open for business yet, so no help there. Now add to that a 3rd problem: You’re going to be late for work! As you can see this is not a winning combination. You need help and you need it fast, so you are better off calling a 24 Emergency locksmith. To pay or not to pay, that is the question. Of course, I think we all know the correct answer. But in the rare event you just like spending more money; you can always call your local car dealership for assistance, but be prepared to pay through the nose for the towing cost as the car dealer does not offer friendly on-site mobile service like your neighborhood locksmith does. Not only will you pay towing fees to have the vehicle towed, you still have to pay the service fee to have another key made to unlock your vehicle. Most car dealerships don’t have the expensive equipment in-house to cut another laser key for your car, so now there are further delays, like waiting for the new key to be made and sent to you via snail mail. Looks like you are not going to work today after all. Hope you still have a job by tomorrow! Oh, by the way, you still have not paid for the new laser key yet. If you call your local car dealership and ask if they offer mobile locksmith services, the answer will be a resounding no. I don’t know about you, but when I am having a bad day; the last thing I want to hear is no. Here’s the good news, when you call your 24 hour emergency locksmith he / she will always answer a resounding yes. Now that is what I want to hear. These guys will come to you, so you don’t have to worry about going to them or paying expensive towing fees like what is required by the car dealer in your area. When you need a laser cut key and you need it fast be sure to call your 24 hour emergency locksmith. Locksmiths have the expensive equipment to make your laser cut key right there on the spot. They have more experience making laser cut keys than the dealership does, especially since they don’t outsource this simple job to another company. This is good news, now instead of waiting days to receive a new key you can have one made in under an hour. Furthermore, locksmiths are bonded, licensed and insured, car dealerships are not, so who are you going to trust? Besides, who wants to pay $200 and upwards to have a new transponder key made? Why does it have to be so expensive you ask? This is due to the chip in the key having to be programmed specifically for your car. 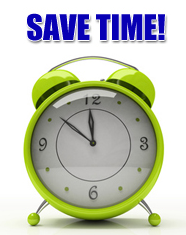 Locksmiths offer around the clock emergency services. Their prices are more affordable than auto dealerships. They offer top-notch mobile locksmith services straight to you. 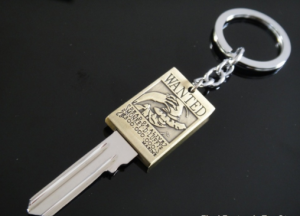 If you lose your key, laser cut keys are made on the spot, so no waiting by the mailbox for your new key to arrive. Locksmith’s expertise is 2nd to none, so you can be sure the key will work the first time and every time you use it thereafter. So don’t pay $200 or more to have a new transponder key made. There is no better way of explaining the importance of home security that equating it to life. Think of it this way; the level of security that you have determines whether you and your loved ones are protected against acts of theft, burglary and other forms of home invasion. Such invasions are responsible for unimaginable violence that at times leads to fatalities. In America, for example, there is a burglary every 15 seconds. Therefore, proper home security protects life, important documents and other assets and possessions. The good thing about proper home security is that it boils down to very simple things; locks, keys and an alarm system. Many people overlook simple measures like replacing locks or hiring a reliable locksmith yet they are paramount in determining whether the home is safe or not. 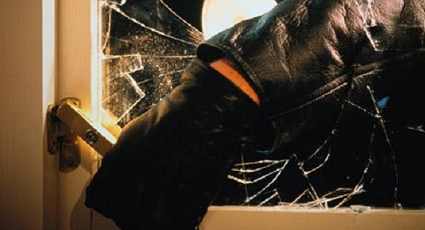 This article features Columbus Locksmith Pros’ advice about proper home security measures. There are many reasons why you need a blacksmith. For example, locks are house components like any other. For this reason, they require occasional replacement for one reason or another. It is a simple yet paramount process that requires you to have a reliable locksmith like Columbus Locksmith Pros. Below are some reasons why you might need your locks replaced. Relationship matters: some break-ups, separations and divorces can lead to undesired situations where partners fight for custody of children or pets as well as possession of property. Such people tend to feel entitled and they might try to enter the house without permission. 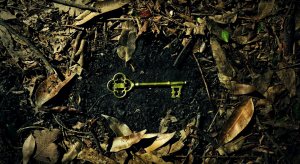 Regardless of how much you trust an ex-partner, it is always advisable to re-key the locks. When moving in: most landlords reuse keys from one tenant to another. They may also have multiple copies of the key and this simply multiplies the number of similar keys in circulation. New homes are also not as safe as one would think. Plumbers, contractors, HVAC personnel and sales people always have the chance to make their own copies of keys. These situations make it necessary to re-key the locks. Family and roommates: when children have their own keys, it is only proper to have the locks changed regularly considering that it is generally hard to deter kids from showing other people. Furthermore, kids tend to lose things easily. When roommates move out it is also important to have the locks changed as it is hard to know when they might feel the need to access the house without your permission. Wear and tear: locks also experience wear and tear due to rusting and deterioration. Worn out locks are weak and can allow unwarranted entry into the house. Therefore, it is necessary to conduct regular checks and replacements. Break-ins: break-ins and attempted break-ins can provide criminals with access to spare keys and knowledge of your security system. Therefore, whenever they happen it is important to have the locks replaced. Latchkeys and lost keys: whenever you forget your keys somewhere for a while or whenever they fall into untrustworthy hands (like if a stranger finds them and delivers them to you), it is prudent to re-key the locks. This is owing to the fact that it only takes a few minutes for one to duplicate keys. The same goes for lost keys. Emergencies: there are certain emergencies such as locking your keys inside the house or when a spare key gets lost. Such situations require a locksmith to ensure that the locks are re-keyed or replaced. In summary, you should have a locksmith at all times as a plan for a rainy day (one or more of the situations explained above). Don’t wait for the rain before engaging one as that will portray you as a desperate individual and any blacksmith can take advantage of you under the situation. Now that you know why you need a locksmith, it is equally important to know why it should be expert Locksmith Pros. With increasing reports on cases of locksmiths overcharging customers (fraud), it is only paramount to have a single locksmith who you can trust to give you the best services at the appropriate amount. We also ensure that your needs are attended to immediately they arise. This means that you enjoy 24 hour service so that cases like having to sleep outside your home just because you locked yourself outside at night do not appear in your diary. You also get to be served by a team of qualified personnel who cannot use your house’s security information for any malicious activities. 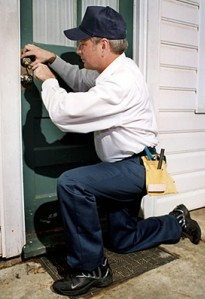 Some locksmiths are known to access client’s houses without their permission. We will also advice you on the best security measures to ensure that your home is safe. For example, you can get information on how to store your spare key or the best intercom service to install. Therefore, spruce up your security level by engaging with us. Unlike physical keys, it is much harder to duplicate access control equipment. Making identical electronic keys requires exceptional skills, highly sophisticated gadgets and advanced knowledge. 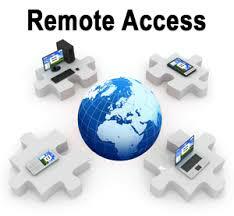 Consequently, installing an access control system will provide an extra layer of security to the user. In case you have a habit of constantly misplacing your keys, your life will become much easier with an access control system since you will only need to memorize one code. Where there are several people using the system, each user will only need to create their own unique code. Whether you are in a home or business environment, an access control system can be customized to control the number of people who can access particular locations in the building. It can also be configured depending on location or time. This means you can give a contractor who is renovating your kitchen access to your home. 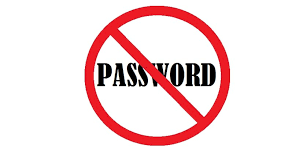 They can even be issued a temporary password that works within particular hours. As a result, you will not have to worry about giving several front door keys to different contractors who may be working in your house. Other people such as baby-sitters can also be given temporary security access. After completing their work, the access rights can be withdrawn immediately. With some access control systems, you may also use your smartphone to manage security access, arm the system and so on. If you operate on a tight schedule, the remote access feature that is integrated in many access control systems will let you control the gates when you are away. You can also give access to other people while you are not at home. As soon as they finish what they are doing, you can revert to the normal settings . Access control systems utilize software that stores vital information that can be reviewed later. If your system is strategically positioned, it can be of tremendous help to the police if there is vandalism or theft in your neighborhood. For businesses, the system can help to monitor suspicious staff members during working hours. At home,the system can also be used to monitor your children. For example, it can show the time that they get back home at night. Nowadays you require a password for almost everything. But remembering complicated passwords on doors can be tedious and inconvenient. 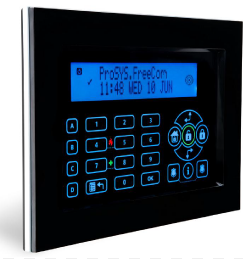 An access control system can give you access to every door or area of the property using only your code or fingerprint. You can integrate some access control systems with other systems in the building such as the heating and cooling system or the lighting system. Some advanced systems can sense the areas that require temperature or light adjustment at any particular moment. Good security is needed by anyone whether it’s for a business or for a home. No one knows what kind of person is just around the corner, and being protected starts with having good locks on a building. A Locksmith is a great source for these kinds of things, and finding one and benefiting from their services is really easy. This article will focus on how to find a locksmith in any area as well as what kind of services and benefits they offer. Big thanks to the guys at www.manhattanlocksmithpros.com for all the useful information. Finding a Locksmith is very easy for anyone to do. For some people, the yellow pages is a good place to look. A bunch of different locksmiths should be listed in the yellow pages of a phone book. However, a much easier way to search for a good locksmith is to go online. A simple online search should give people the listings of a bunch of different locksmiths in their area. Their addresses and phone numbers are usually listed as well, which makes everything so much easier. Now, their services can be used. There are a lot of different services that Locksmith has to offer. The first thing they can do is go around a person’s house and look at all the places that they could add extra security to the house. Sometimes they will suggest certain things like having locks for windows and things like that. They should be able to install these things as well as sell them. They will provide a person will all of the locks they need in order for them to feel really secure in the house or building. There are many other services that are offered by a Locksmith. For example, when someone gets locked out of a building, a locksmith can come and pick the lock in order to give a person access to the building. The locksmith will usually require some type of identification to make sure that the building that they are picking the lock on is owned by the person who wants the lock picked. Locksmiths can help a person in jam, help a person feel more secure in a home or business, and they can do many other things. I hope this article has been beneficial to those wondering what kind of things a locksmith can offer them whether it’s for their home or place of business. Have you come across a situation when you have to reach your office and you have forgotten the keys inside the car? Well, there is a solution to that. Locksmiths can solve this issue as they can unlock the car very quickly. But who are locksmiths and what do they do? The following article will give you all the answers. When one comes across the most irritating problem of locking systems, at that time, only a locksmith can help the person from that particular problem. Like if by mistake a person locks himself out of the car, home, office or anywhere else, then locksmiths can be of great help. Other services offered by locksmiths include automatic locks that are very popular and effective in the modern age. These are built from electronics and magnetic equipment and are extremely easy to use. Whether they are fully insured and licensed or not? Whether they have a local office or business premises? Whether they provide emergency services or not? After ensuring the above points, one should likely go with a reputable, experienced, professional and reliable locksmith, one can assure himself that he would get the best service. If one needs an automotive locksmith, the person must remember that car locks must be handled by a professional locksmith, so one must not take a hasty decision while choosing a locksmith. One is suggested to check on the Internet, where he would get a plethora of information regarding various locksmith services. Whichever one finds the most appropriate for his home, vehicle or other requirement; he can take down the number and call when required. 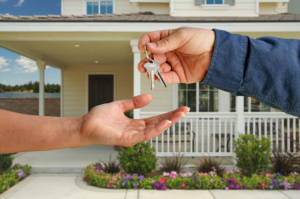 Whether one has to get his old home door locks repaired, or wants advanced locking systems for all the doors at home or in the garage, keyless remote, transponder keys, locksmiths cater to all these services. 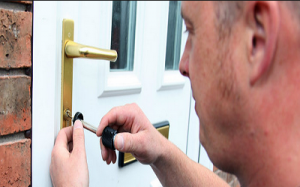 The best locksmiths provide 100% customer satisfaction and long term lock solutions. Locksmiths are concerned about public safety, so one can choose the best locksmith keeping in mind his requirement and budget. I Lost My Buick Key – What Do I Do? 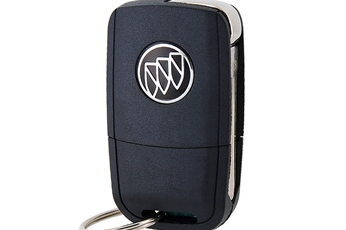 Nothing could be more frustrating and inconveniencing when you are traveling like losing your Buick keys. Though it might be an unpleasant occurrence, you can quickly correct the situation by hiring a locksmith. These key experts will serve you with a new key that will help you effectively just like the original Buick keys. However, the challenge is to look for the right auto locksmith. Below are important factors that you should consider when looking for experts to provide you with new car keys. And if you happen to be in the Atlanta area, click here to check out ATL Locksmith Pros. This is the beginning step you can take to getting a legitimate locksmith. Sites and ads are good, but family and friends people can let you know first-hand if they were pleased with the support a neighborhood locksmith has provided them with. The most important aspect is to know about his service. So it is better to start off by checking his services. Review the list of car services the locksmith offers to you. Some of them may provide you only with a one-time solution while there are people who offer ongoing services as well. Try to find a key expert who considers your needs and gives you an estimate. He should also be able to provide you with various solutions so that you can pick the best one according to your personal needs. Reputation is also very essential. If the person does not have a good reputation, you cannot trust him. Since he will be entrusted with the task of providing you with a safety solution, he has to be extremely trustworthy and credible. Most professionals are reliable. However, you need to double check for your own peace of mind. You can speak to the previous clients and other acquaintances who will be able to provide you with some useful information. A worker’s ability and skill can be measured only by the kinds of work he does. While choosing a locksmith ensure that he is aware of the latest technologies in the field so that he can incorporate them into your safety solutions. There is no point in using outdated technologies because they may not be secure enough. So check these details before you zero in on any appropriate professional. Look for a person who has proper identification and a license. Most states require these people to have a permit for working. You can ask for their business card and check the estimate to find out if it includes the company’s name. Check the names as well as other details on the card to see whether they match up to the details on the estimate. This will also prove legitimacy. Ask to view the locksmith’s qualifications. A locksmith must obtain an FBI background checks. You can see their credentials from the Locksmiths of America (ALA). You can also check with the Better Business Bureau. Stay away from any business that has a large quantities issues. Filed against that. Be sure that the company is insured. 24 Hour Locksmiths are durable, reliable, and their mobile services provide quick relief in case of any emergency and chaotic situation. They are always at your service, and you can 100% rely on them. In emergency situations, you don’t have to panic when 24 Hour Locksmiths service providers are there to secure you. Auto Locksmiths not only provide a sense of security that your car or other auto-mobile would be safe but also make it possible for you to leave your car behind safely and get done with your shopping and other sorts of commitments. Those who have a valuable and expensive car, they must go for these services as they are relatively cheap and affordable. Another vital service that these 24 Hour Locksmiths provide is ignition keys replacement service. Buick keys replacement services is a unique service of its kind that is offered by very few service providers. In Buick keys replacement services, your keys can be replaced in a reasonable amount of money and you don’t have to go through stringent procedures. So in case of any such mishap with your key just make a phone call to Buick keys replacement service providers and your key will be replaced in no time. My Garage Door Won’t Open – Help Me! 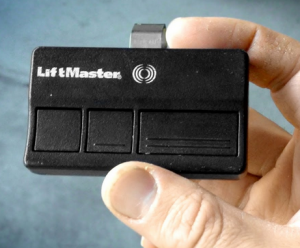 Garage door openers are probably the most useful appliances that make our life easier at home. Bearing in mind that a garage door is the largest moving part of the house, garage door openers save us pounds of calories that we would have burned to make the door move. When a garage door fails to open, one gets so frustrated that they may think of crashing their way in. However, a garage door being stuck in closed position is sometimes not so much of a depressing issue. If you are in a situation that makes you contemplate about your garage won’t open type of query, check the following and you will get the answers you are looking for. And if you happen to be in Arizona, check out Garage Doors At Chandler’s website for more info. 1. 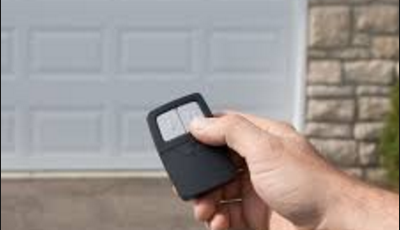 Your garage door is in lock mode: If the opener keypad button is held for too long, this action can activate or deactivate the lock mode. When the garage door is in lock mode, you can’t open or close it. Before thinking about calling a specialist, make sure you hold the keypad button down a few seconds to deactivate lock mode then try opening the door. 2. Power source: The power source can cause garage door opening problems in two ways: One, the power source is unplugged, and two, the transmitter batteries have run out. While it might sound ridiculous, many people will forget that they unplugged their power source and keep wondering why the door isn’t opening. Check the power outlet and ensure that it’s working by plugging in another electronic device. Also check the fuse, circuit breaker or GFCI. 3. Sensitivity is out of adjustment: The garage door’s sensitivity should not be set too low or too high as the opener will not sense the weight of the door correctly. Use the manufacturer’s directions to test the sensitivity of your garage door. Limit switch to correct levels, adjust the close force and everything should be fine. 4. Malfunctioning remote control: If the door fails to open with the remote control, there could be a few explanations for this. One, motor’s antenna could be broken or blocked. Check to ensure that it is hanging down from the motor. Two, the remote’s battery could be weak and needs replacement. If these two solutions don’t help, reprogram the remote and try opening the garage door. Make sure you are within the range of the door. 5. Photo eye is dirty or out of alignment: Photo eyes are located at either side of the garage door. Between them there is an invisible beam. For the door to open or close, a photo eye has to send a laser across the beam to the other side of the length. If the eye is out of alignment or has become dirty, the door won’t move. Use the cleaning and inspecting guidelines on the manufacturer’s manual to solve this problem. 6. Track is out of alignment: Your door runs on a metal track which can present serious problems if it’s out of alignment. If there are gaps between the rail and rollers, the door’s weight can compound the issue and make operating the door dangerous. An expert’s help would be the only solution here. 7. 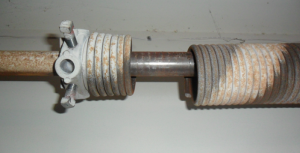 Broken torsion springs: When garage door torsion springs break, don’t try to open the door unless you are a garage door expert and you have the right tools. 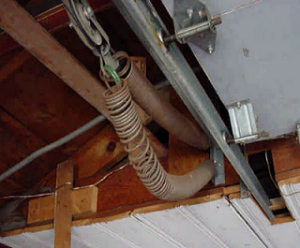 Torsion springs are usually across the top and extension springs on either side of the garage door. They can only run for a limited number of cycles. If the cycles run out and the springs are not yet replaced, they snap or break. When this happens, call a specialist to replace them for you. 8. 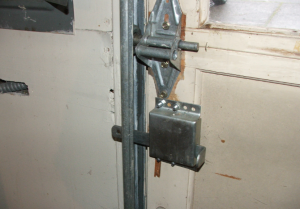 A stripped gear: The weight of a garage door can cause too much strain on the opener. While this happens, you will hear a humming noise when trying to open the garage door and the door won’t open. There are two ways around this issue: replace either the gears or the whole opener. If the opener is older than ten years and has been giving you trouble, it’s recommended that you replace it. 9. Lock handle: If your garage door has a lock handle, ensure that it is not engaged. An engaged lock handle manually locks the garage door making it impossible to open the door automatically. Unlock the door handle before trying to open the door. CAUTION! 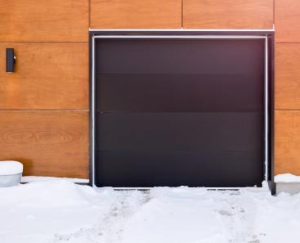 Moving garage doors can cause deadly injuries to a person. If you are not sure or confident that you can handle your garage door, please seek the guidance of a garage door specialist. Most car owners have misplaced their car keys at one time or another. This can be very frustrating. You will realize that most car owners rarely have spare key for their cars. A spare key can greatly help you if you have misplaced your car key. You can actually keep the spare key in your home so that you can readily access it in the event of losing your car keys. However, if you do not have a spare keys, you can greatly get inconvenienced. What do I do? I lost my Chevrolet key. This is a common question that most Chevrolet owners ask whenever they misplace their car keys. There are some options that you can explore if you have lost your car keys. There are different ways of replacing your Chevrolet keys. One of those options is visiting your auto dealership so that they can replace your car keys. The other option is to hire a car key specialist to replace the car key for you. Lastly, you can order a Chevrolet generic car key from your vendor. You will realize that car dealership service is normally costly compared to locksmith services. It can take you up several days before you get your new car key. This can actually disrupt your schedule and so on. This is the reason why you should hire a locksmith so that he or she can replace the car key for you. In addition, the Chevrolet car dealer will ask you to bring the Vehicle Identification Number and so on. In most cases, Chevrolet dealers usually charge around $200 to replace your car keys. This is the reason why you should hire the services of a locksmith. And If you happen to be in the Los Angeles area, check out La Car Key Pros. Click Here. A car key locksmith is the best solution if you want to save money. You will realize that an ordinary car key can be replaced with a few dollars. These individuals can program a keyless remote for you at reasonable prices. 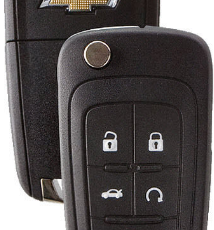 You will realize that locksmith require the VIN to produce the correct key and program keyless remote. You will also note that locksmiths are usually well trained to replace car keys. They have the necessary knowledge, skills and competence needed to replace car keys for you. They are experts when it comes to programming a keyless remote. The other reason why you should hire the services of a car key specialist is that he or she can offer 24/7 services. If you lose your Chevrolet keys at night, you do not have to worry. You just need to call them so that they can serve you. They also offer reliable services. You can always bank on their services. These individuals rarely frustrate their customers. Therefore, if you have lost your Chevrolet car key, the first step is to calm down. Ensure that you obtain the VIN from the dashboard. You can also get it from the engine bay of the car that needs a replacement key made. Do not rush to call your Chevrolet car dealers immediately. Auto dealership can take a long time before offering a new replacement. In addition, they are also expensive. It is advisable that you hire a locksmith to replace the car key for you. 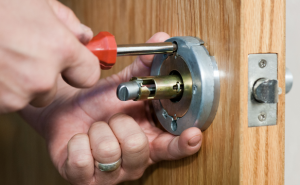 You should look for professional locksmiths so that you can get the quality services. A locksmith will take less time and you will have your new replacement within a short period of time. 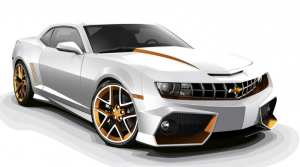 It is important that you provide the exact year, make and model of your car. This will help them in replacing your key. You can also ask if the key needs to be programmed. You will realize that Chevy Cruz or Equinox requires to be programmed. However, Chevy S10 1998 does not require to be programmed. If you need a new ignition, ensure that you have tried getting a new key first. You will realize that changing the ignition for Chevy car can be expensive. This is basically what you should do in the event of losing Chevrolet keys. Hire a locksmith and you will enjoy more benefits. You will enjoy the convenience of having your keys in a few hours at a reasonable price. If the locksmith can manage to program the key, you can hire his or her services. Most locksmiths can program the car key for you. You do not have to contact your car dealership to program the key for you. Hire a locksmith and you will enjoy the results. Lost A High-Tech Car Key? Losing your car keys is not an impossible scenario. It happens most of the time that you can find this kind of service from different locksmiths. Sometimes, you are preoccupied with a lot of things that you forget where you placed your keys, and you can’t find them anywhere. There are also some cases when, throughout the years, the car keys break because it’s already worn out. It can give you a headache and stress you out when this happens to you. The best solution to this problem is to get a replacement car key. If you’re in Colorado, check out COcarkeys.com for replacement car keys. If a situation involving your car keys occurs, the last thing that you should do is to panic. Everything can be resolved as long as you are thinking clearly. Now, getting a replacement car key may cost you a lot of money. One of the alternatives you have is to go to a local locksmith. But don’t just hire any locksmith. Do your research first and make sure that they are professional and can do their job well. Find a locksmith company that offers a replacement key service. But make sure that they are a known and trusted company. They might make a duplicate copy of your keys and use it for their criminal intent. Don’t worry if it will take your time and effort to find a good locksmith as long as they can provide you with what you need. You will realize later that it will be worth every penny. As a car owner, you also have to understand that the model and type of vehicle that you are using will affect the price of making a duplicate copy of your key. So you need to know first what type of keys you use to start your car. There are transponder keys, high-security keys, or laser-cut keys. Knowing this will make the process easier, but if you have no idea, you can let your locksmith check it out. Some replacement car keys are difficult to make, especially with newer models. Compared to the dealership, getting a duplicate copy from a locksmith is far cheaper. A dealership often asks for twice as much for one set of replacement car keys than what you can get from a locksmith. 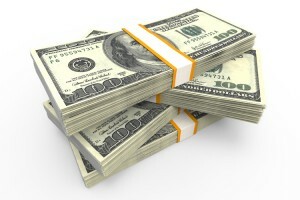 Are you willing to spend that much if you know you can get the same service for a lesser cost? 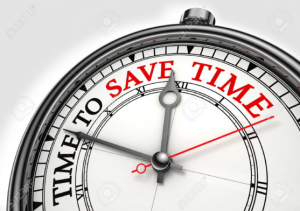 1- Quick response time for car lockout scenarios – Especially for cases of lost car keys, it is necessary that the solutions are provided in quick time. This is done by the locksmiths for lost car key replacement; wherein they appear within minutes of the call placed to them. After that, the opening of the doors is also carried out quickly. In cases where the locks are damaged, or the keys are lost, a new set of keys are provided, even though the cars have modern remote keys to open the doors. 2- Solutions for opening locks of all car models – Ability to open the locks for all kinds of cars is another positive aspect of the locksmith car key replacement. A locksmith should be able to handle all kind of car models, for which people can depend on them for any car they are driving. The locksmith should be able to help in servicing all cars and hence people can depend on them for providing them with solutions for lost car keys or opening the locks for lockout cases. 3-Low cost expenses with expert services – The lost car key replacement firm should ask for very reasonable costs, which will not pinch the pockets of the clients. They also extend the provision of billing the clients, so that payments can be done later on, which amounts to a great benefit for people, as they are not always carrying adequate amounts of money. Needing the services of a locksmith for a replacement car key is not uncommon. The best way to avoid panicking when you lose or break your key is to plan ahead. Have your keys duplicated even before it happens and keep it somewhere you can access immediately. Or, you can keep a phone number of a locksmith on your phone or wallet just in case you lock your keys in your car or inside your house. Door springs are used to open and close a garage door. 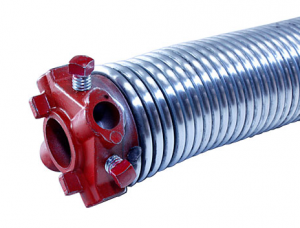 The extension spring and torsion spring are the two basic spring types. Although both springs are dangerous, torsion springs are trickier to handle and more dangerous than extension springs. Extension springs are used specifically for lighter garage doors, such as one-piece tilt-up and sectional doors. They hang from the top of the door, and are anchored near the back of the upper tracks. If you want to install or repair your garage, you can do it yourself. However, extension springs are still dangerous if you are not attentive and follow the repair instructions. Torsion springs are used for heavier doors, such as sectional doors. Torsion springs are used on both sides of the door. A professional must install or repair your garage if it uses torsion springs. They have been known to cause serious injuries and even some deaths. Garage doors that use torsion springs can be a little hard to handle. They usually weigh anywhere between 300-400 pounds, so the springs must be powerful enough to open and close the door. These springs have caused serious head trauma to even professionals when they are being installed or repaired. If you have children, educate them to never stand below the garage door when it’s opening or closing. Furthermore, you should install the buttons that open and close the door out of the reach of young children. This should prevent most accidents caused by the garage door or the door springs themselves. No matter how much you educate them, young children will want to push the button that opens/closes the garage out of curiosity. Even the best maintained garage door springs will need to be repaired due to wear-and-tear. In order to prevent serious repairs, it’s wise to perform regular check-ups on your springs’ conditions. when one spring needs repair, the other is likely be get damaged soon after. Therefore, it’s best if you replace both springs together. Repair and install costs range from $75-$350. Repairing and installing torsion springs fall at the higher end of the price range, so shop around and compare prices. However, price shouldn’t be the determining factor; make sure the professional does quality work. It might be worth it to pay a little more and avoid continual repairs. The door springs absorb the most tension while the door is closing. So, if the closed door fails to open due to a damaged spring, it will not injure anyone. If the spring broke while the door was open, it would fall and potentially injure someone, damage a car or the floor. The durability of the garage spring is determined by various factors including maintenance, frequency of usage, compatibility with the garage door, and the quality of the spring itself. Your garage door springs are powerful and dangerous mechanisms, that must be maintained properly. Make sure to inspect them periodically and ensure they are in excellent working condition. This will prevent many accidents due to the spring breaking or malfunctioning. Remember, if you are looking to replace your door springs it’s best to have a professional complete the repairs for you. Almost every home today has a garage on the property. These people might have had the unfortunate incident of their car being stuck being a garage door that wouldn’t open. This is because they had bad door springs. When the spring went bad, the door got stuck. The only way to get the car out is to fix the garage door spring. Thankfully today you can find quality garage door springs that not only open and close the door, but have new security features that help to make your garage safer than ever before. All door springs will need to be replaced in time. However, the better quality door spring you buy the longer it will last. Remember this is a part that is used every day in the operation of your garage. Anytime you need to open or close the door the door spring will be used. This stretches the hardened steel torsion spring device of the door. Eventually it will develop stresses and get over used. Then it will break and need to be replaced. It’s standard practice for people to replace both of the springs once one breaks. Since they get equal wear and tear the other will breakdown soon anyways so it’s really a time saver to get the job done all at once. Torsion springs will usually last for about 10,000 cycles or six years. It really depends on the amount of use they get. The next type of garage door spring is the extension springs. This is responsible for raising the door by using a stretching action. This spring also usually lasts for about six years. Both types of these springs can be easily replaced and finding then is as simple as an online search. Be sure to perfect the best quality springs you can find to ensure that your garage door works correctly for a long time.